The beautiful Col d’ Aspin mountain pass links Sainte Marie de Campan with Arreau. 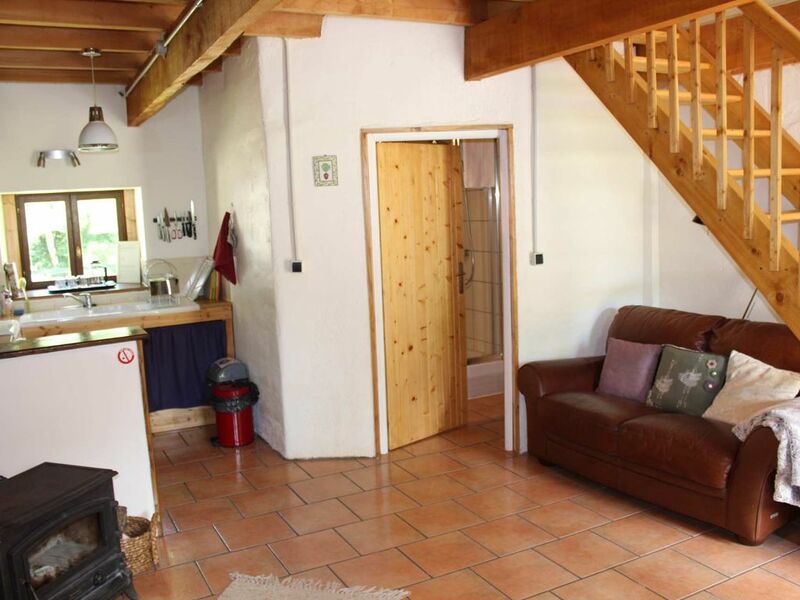 Its gentle climb and tree lined views inspires our spacious one bedroom gite. Your retreat from the world with generous upstairs bedroom offering views of the majestic mountains. Sumptuous beds and crisp linens await you. The ground floor offers an open plan kitchen, with all modern conveniences, and living area. Furnished with your comfort in mind, the leather sofa and log burning fire invite you to put your feet up and relax. The modern bathroom is fitting with an enclosed rain shower. A private outdoor patio area provides a space for you to indulge in the beauty of the environment while the tinkling of the stream soothes and relaxes you, connecting you back to nature. We were really pleased with our holiday and accommodation. The gite was clean, modern and cosy with lovely towels and bedding. We played golf and enjoyed the beautiful scenery. Eric and Angela were so friendly and welcoming it was really nice staying there.